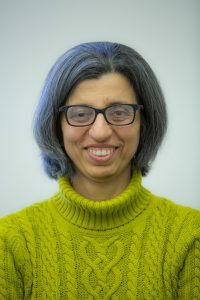 Namrata Vaswani, a professor in the Department of Electrical and Computer Engineering and courtesy professor in Mathematics at Iowa State University, has recently received a prestigious award from her alma mater, the University of Maryland, College Park. 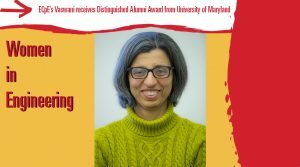 Vaswani’s award, the 2019 ECE Distinguished Alumni Award, was presented to Vaswani due to her exemplary contributions to her field. This award is given to alumni annually for their leadership and engineering contributions. “I was pleasantly surprised to hear this news,” Vaswani said. While Vaswani has accomplished many milestones at Iowa State and moved on from the University of Maryland, she is still honored there. “We are delighted to have someone of your stature as both an alumnus of our department and a 2019 Distinguished Alumni honoree,” Joseph Jaja, professor and chair of the Electrical and Computer Engineering department at the University of Maryland, said.